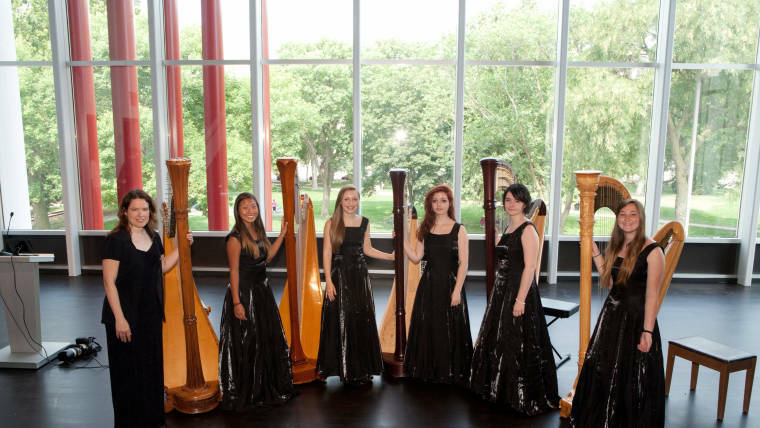 The Harp Ensemble performs advanced repertoire of various styles. Rehearsals will focus on following a conductor, rhythmic accuracy, listening, dynamics, and the interaction of musicians in an ensemble. The ensemble will perform a minimum of once per semester. An informal audition is required before a student may enroll.